Women are uniquely called and gifted to reflect the beauty of the gospel. We want every woman to experience the deep and abiding love of the triune God, have a firm grasp on the gospel of Jesus Christ, grow in understanding and handling Scripture, be inspired to grow throughout her varying seasons of life, and employ her individual gifts to love and serve others—in the church, home, workplace and community. 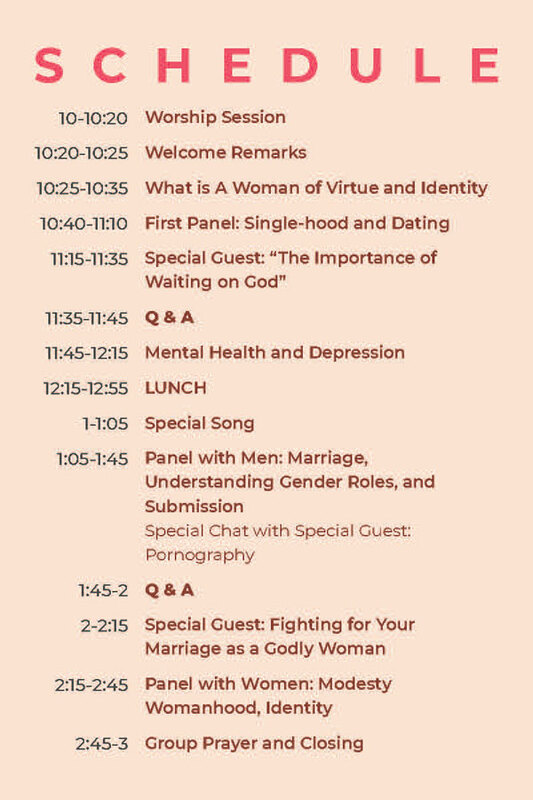 The Women’s Ministry complements other ministries of Covenant Life and provides opportunities to build friendships, teach and learn from one another, and warmly invite guests to participate. Ntambo has a huge heart for women and wants to see us walk in the reality of who we are in Christ. 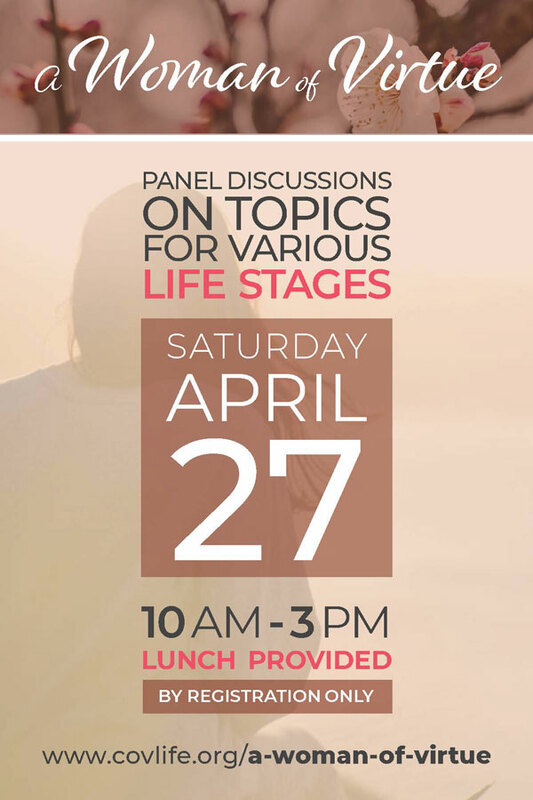 This event will feature candid panel discussions on topics for various life stages and a special panel with men. Please use the invitation on the left of your screen to send to your guests and to view a detailed schedule. Ntambo is also looking for volunteers, so please email her at ntambose@gmail.com. Lunch will be provided, but please register using the button below so we can have an accurate head count.